These kinds of events are rarely covered when it comes to how people write about the neighbourhood — but they're more the rule than the exception. When I was in Grade 8, I moved from Scarborough to the west end of Toronto. When I told my friends this was happening, they looked at me aghast before asking, "You're not moving to Jane and Finch, are you?" No, I wasn't moving to Jane and Finch, but my new home was just a 15 minute drive away from that community — one that has been stigmatized by the rest of the city longer than I have been alive. In my experience, the myth of Jane and Finch and the reality have always been separate entities. For many years, I worked in Jane and Finch, teaching programs in community centres, hosting fairs and celebrating Christmases, Thanksgivings and countless birthdays with many residents who became friends and chosen family. So in a summer that has seen local politicians call residents of the community roaches and prance about in bulletproof vests decrying the dangers of the neighbourhood, I wanted to share a little of the Jane and Finch that I know and love. 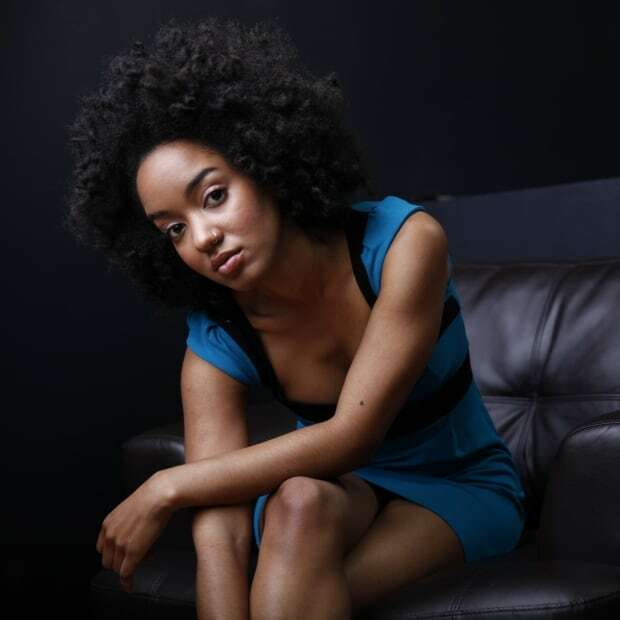 The spirit of Jane and Finch is captured perfectly in an event series called Freedom Fridayz. 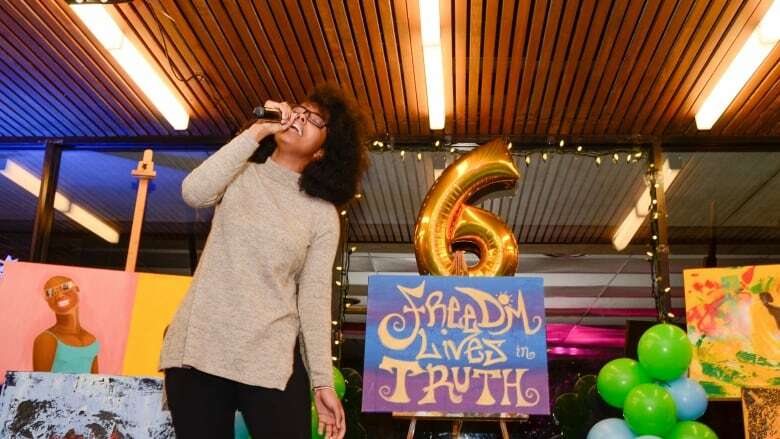 For the past seven years, a group of friends have organized this monthly event where food, music and art are made available for the neighbourhood. 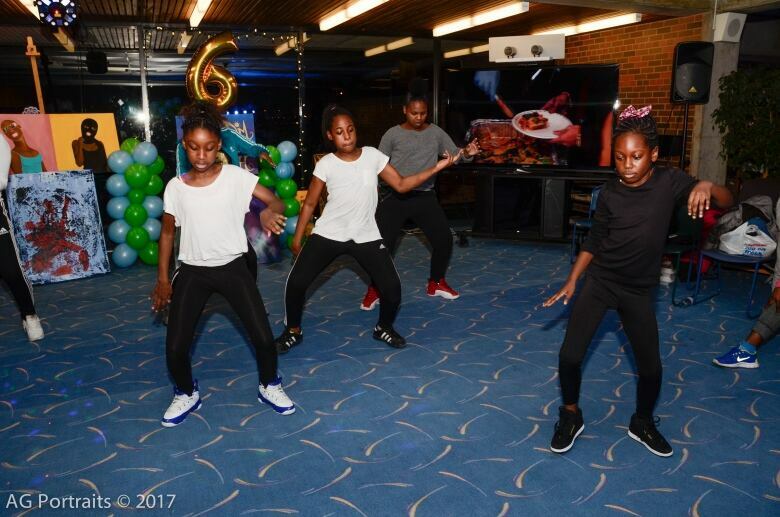 It began after a young community worker named Andrew Newsome called his friend Kofi Frempong late one night with a thought: they needed to put together more community events. "From there I decided to create something," Frempong tells me this week over email. "The only requirement was that people would be in the space and it would be conducive to love, learning, laughter and endless possibilities. We decided that space, music and food would be the foundation." With those three primary ingredients in mind, Frempong pulled together a team of people that included Newsome, Felix Cabrera, Sabrina "Butterfly" Gopaul, Byron Gray, Krystle Skeete, Prince Attah and more to manifest the vision. 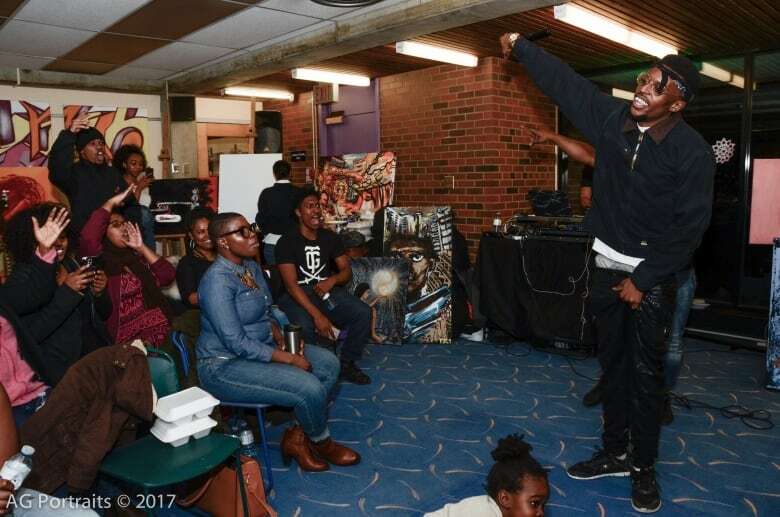 They began using the Yorkwoods Public Library, The Spot, the parking lot of Jane and Finch Mall and other community sites as gathering spaces for residents to collectively convene. The food came from local caterers and the music was provided by local DJs including Cabrera. Over time more elements were added: live painting sessions were instituted, open mics were offered and one summer free backpacks were provided filled with back-to-school necessities for kids. 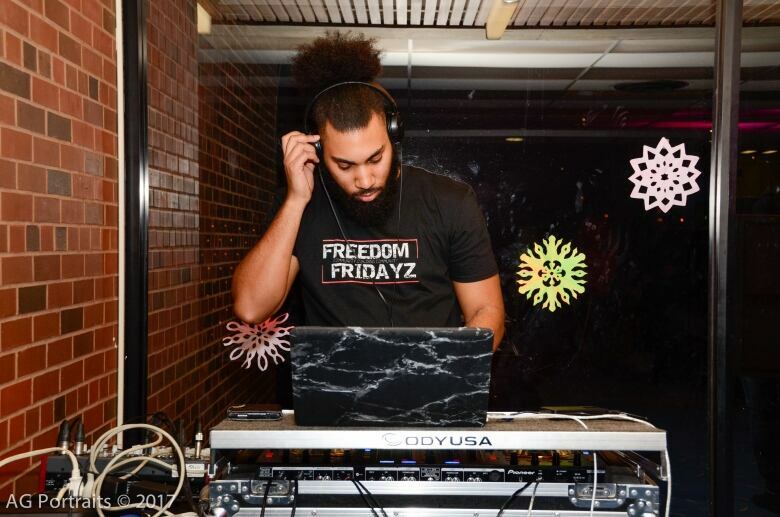 "Freedom Fridayz is one of the longest-running events that happen in the community that is basically for everyone," Cabrera tells me over email. It was an event I attended frequently when working in the neighbourhood. I would often bring participants of my programs with me and encourage them to sign up for the open mics, cheering them on as they performed the songs and poems they'd written and dances they'd choreographed. Each evening was a master class in positive affirmation as artists with varying degrees of experience and skill all received thunderous applause, cheers and big-ups from an audience eager to uplift and to celebrate. "It's given a platform for up-and-coming artists to not only practice their craft but also [use] as a launching pad," Frempong tells me. 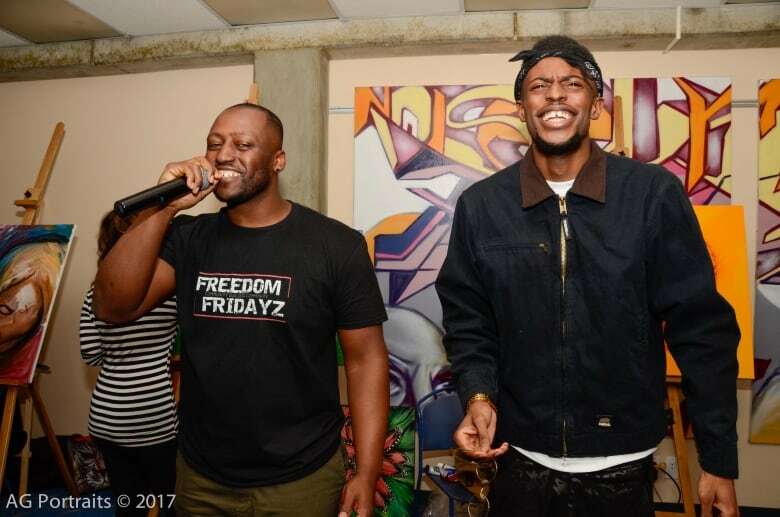 "A lot of people came through to Freedom Fridayz early on in their career — artists such as Lola Bunz, Clairmont the Second, Cola, Nathan Baya. Not saying we've created any of them, but they have used Freedom Fridayz as testing grounds to enhance their craft." Frempong and Cabrera are among the artists whose crafts have grown over the years, with Freedom Fridayz serving as their informal site of non-judgmental experimentation. It wasn't until the events started up that Frempong found the courage to share his paintings with the public, bringing his work to exhibit and also creating new pieces during the show through live painting. "It was basically a platform to get over my anxiety of painting and eventually I was able to use Freedom Fridayz to get to the next level of my art and even my art business," he says. It was also the place that Cabrera began sharing his own artistic talents publicly for the first time. Stepping behind the turntables each month, he recognized that the warm welcome and appreciative audience provided the perfect environment for him to develop. "Now I'm one of the main DJs alongside Casiko P (Prince)," he tells me. "Because I don't really get much time to practice on my own, I use Freedom Fridayz to organize my music, play new stuff from the community and at the same time [it's] a source where I get music from local talent." Both Cabrera and Frempong recognize the importance of the Freedom Fridayz space. When Newsome passed away unexpectedly earlier this summer, it was at Freedom Fridayz that they celebrated the life of the young man who had inspired the idea for the monthly gathering space. His family, friends and community members shared stories of Drew, the young man with the shy smile and gentle spirit, while Cabrera played music and Frempong presided over the live paintings. As their lives have become busier, and they have less time to volunteer, Freedom Fridayz has slowed from once a month to four times a year, with the next edition happening this Friday as a back to school special. But there are no plans of stopping, particularly as they face the increased stigmatization of the community they call home. "They've been trying to gentrify Jane and Finch for a really long time, and I feel now they're just going to drastic measures to do," Cabrera tells me. "They understand that Jane and Finch has a unity like no other and when we come together it is difficult for them to penetrate. That scares them, so long as we keep fighting and keep showing resilience." In all the stories written and reported about Jane and Finch, events such as Freedom Fridayz are rarely highlighted. And yet in my experience, these spaces are more the rule than the exception. I can't count how many community barbecues, festivals, talent shows, walks and fundraisers I have attended in this small but densely populated neighbourhood. Frempong and Cabrera see it as their responsibility to maintain an event series that tangibly contests all of the stereotypes which plague the community that has raised and nurtured them. "More than ever, we need spaces where we can celebrate community through the arts, network and build relationships," Frempong says. "With the amount of violence and trauma that our community undergoes on a daily basis, it's really important to have healing spaces."